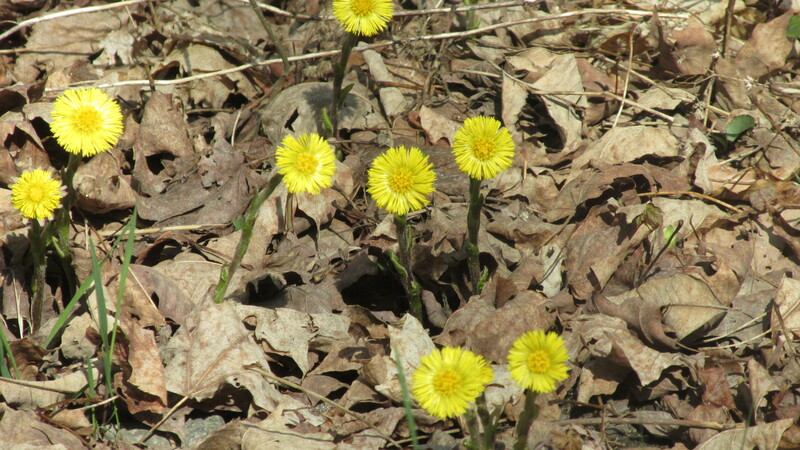 You know its spring when you see the herb Coltsfoot on the roadsides. It was used as a medical herb for ages but now there is a concern about kidney or liver damage. I am going to pick some this year and try to do some dyeing in my iron pot. Its suppose to do a pale green. It’s a beautiful plant that wouldn’t live on my rich soil. It loves sandy roadside soil. This is the second class and the wool I gave them was washed and dried. 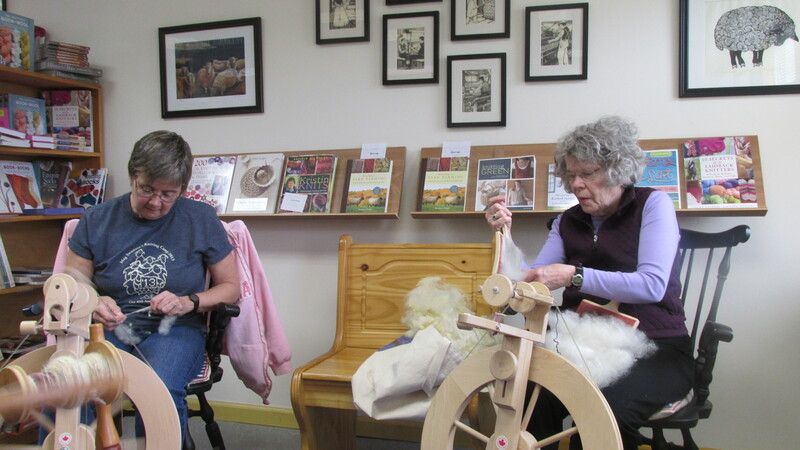 They liked the process and enjoyed spinning and plying it. They are really doing well spinning. Next week we are doing fancier yarns. 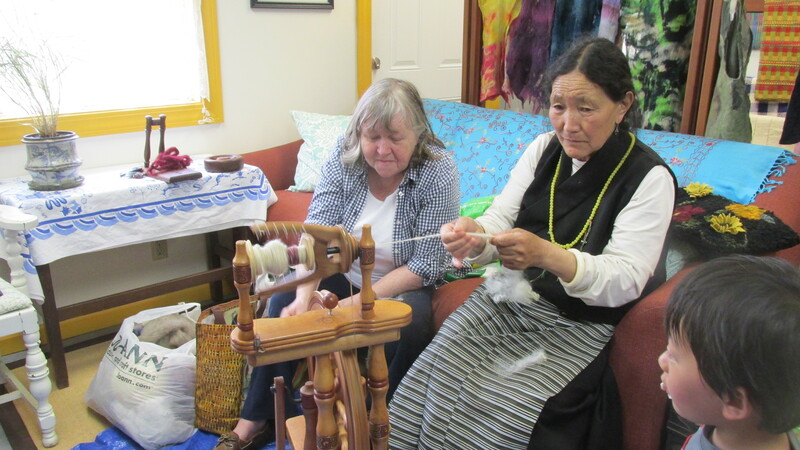 We had a surprise visitor one of the Tibetan ladies that lives nearby spun on my wheel. SHe doesn not speak English so we couldn’t converse how she learned. Maybe Liz will find out about that. SHe spins wonderfully. Elliott was sheared this morning and he still has that awful rash. The Shearer never saw a rash like that and gave him another shot of ivermectin. If I don’t see some improvement within a couple of days I will have to have the vet return. The rash doesn’t seem to bother him much but when reading about skin problems in LLamas it said because of the weather conditions many more llamas have mites and things like that. Poor Elliott he just wants to be left alone and not bothered by people. The beautiful tulips mark the place where Sadie is buried. I would someday put a bench or something their. I think I will scatter some wild flower seeds over the area so there will be beauty all summer long. She was a beautiful sheep, kind and loving. I miss her.